The restaurant business is very, very difficult. It demands the right combination of location, ownership, and staff, not to mention menu, ambiance, and dozens of other intangibles. Although it’s hard to put a finger on the exact elements that will lead to success, sometimes it’s pretty darn easy to spot the fixings for disaster. On that note, Southern Roots Smokehouse in Park Circle is making me nervous. Occupying the space previously filled by the Barbeque Joint, SRS brings some much-needed barbecue offerings to the area. However, upon first approach one thing is clear: Despite its name, there doesn’t seem to be much smoke. The menu is also a bit unusual, with a committed ‘Jack of all trades’ bar food-type approach. 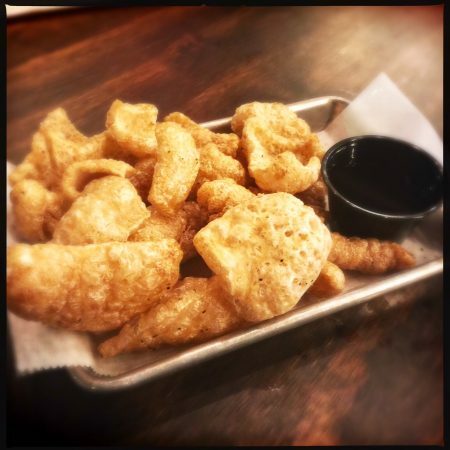 Starting at the top, I’ve never known a day some pork rinds ($6) didn’t make better. Crackly, puffy, and aerated, they’re served warm and still popping. I may or may not have consumed the entire thing, despite my dining companion’s occasional feedback: “You’ve eaten more than half of those.” “You maybe should slow down.” “People are starting to stare.” Etc. 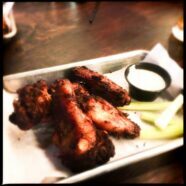 The smoked wings (five for $5/10 for $10) are as well-priced as they are delicious. One of the few dishes with a perceivable smoke flavor, this is what success tastes like. Moist and flavorful, they should do whatever they’re doing here to the rest of the meats. 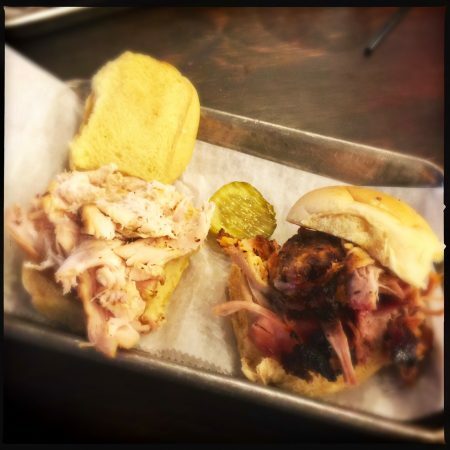 For example, the sliders ($8, brisket $9) — one pork and one chicken — which remained on their plate, virtually untouched. Containing the second driest meat I’ve ever encountered in my life, it’s trumped only by a Thanksgiving turkey so parched, it crumbled off the bone. Served on potato rolls and accompanied by a single pickle chip, start sampling the restaurant’s array of homemade barbecue sauces and pick a favorite. You’re going to need it. Both meats have a very light smoky flavor, as though cooked traditionally and exposed to smoke only at the end. The pork is coated in a peppery rub, with a notable amount of gristle, and a minimal smoke ring. When I inquired as to the site of said smoking, I was pointed to a food truck parked outside on the street, which answered some questions the Pick Three ‘Create Your Own’ plate ($19/$21 with brisket or ribs) asked. My friendly waitress suggested the mashed potatoes with gravy, a truly baffling recommendation. Insipid and watery, the only real flavors were those of thyme and garlic powder. Topped with cloyingly sweet gravy seasoned with Old Bay, this is a major swing-and-a-miss. “How could you do this to me?” my dining companion moaned in a comment I presumed was meant for the server. Although the staff is welcoming, the location ideal, and the bright, open space appealing, it’s hard not to worry about Southern Roots Smokehouse’s future. 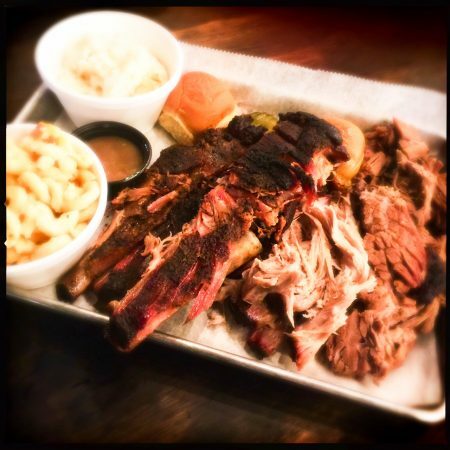 In an area with so much great barbecue, a smokehouse without much smoke feels more like a punchline than a recipe for sustained restaurant success. Nonetheless, may the odds be ever in their favor.